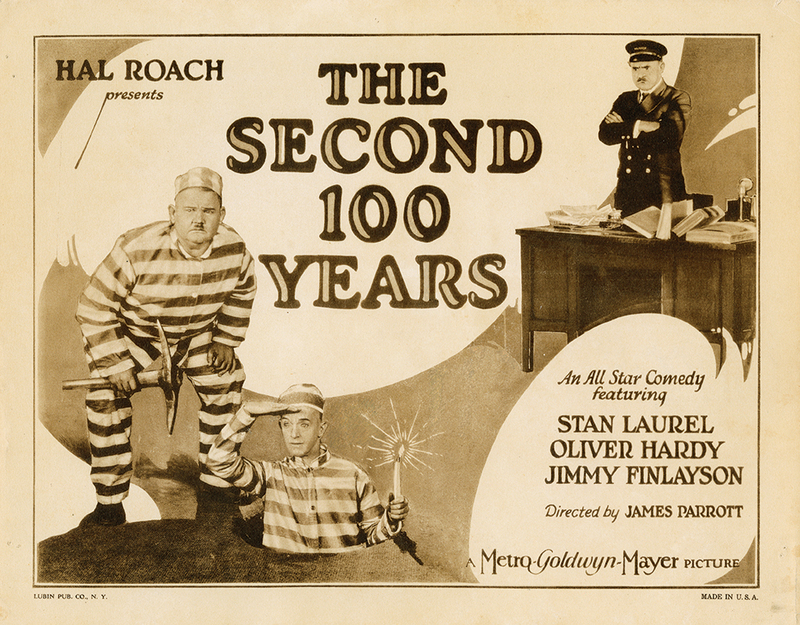 Stan and Ollie are 'Little Goofy' and 'Big Goofy', a couple of shaven-haired convicts in jail. 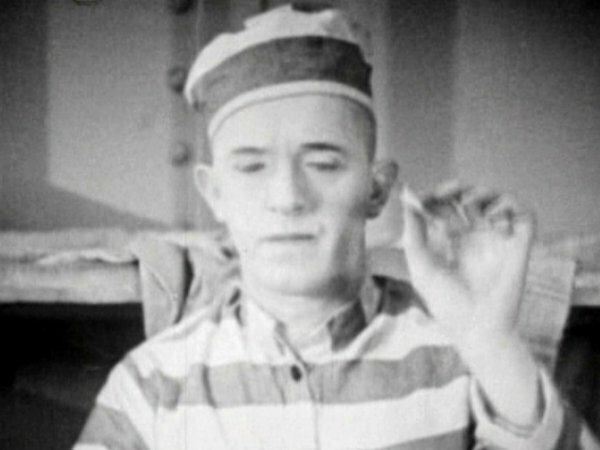 They sit in their cell wearing their striped prison attire with Ollie splitting his last cigarette in half so that Stan can share it but when no matches can be found Ollie discards his half. Stan on the other hand unrolls his half and empties the tobacco into the palm of his hand and decides to snort it instead, which causes him to sneeze and blow everything off the table they are seated at. 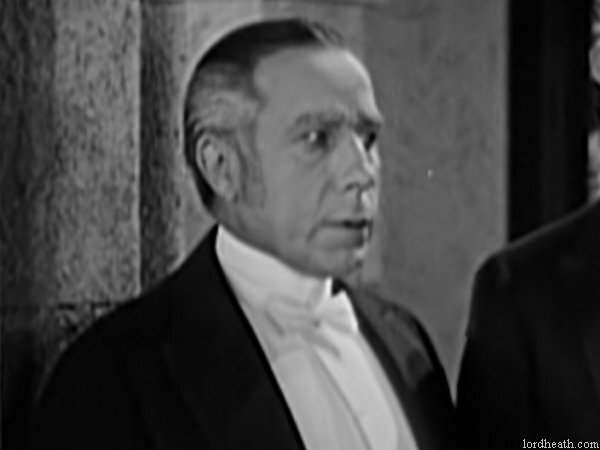 The governor (Finlayson) is introduced talking to the warden (Brownlee) as a non-smoking, non-chewing, non-swearing, non-drinking individual in charge of the prison. During the conversation it is revealed that French officials are due to meet with the governor later that day. Back in their cell, Stan and Ollie are putting their tunnel escape plans into action. They lift up their table against the bars and pull away a trapdoor before getting in. In the cramped confines of the blue-tinted tunnel, Ollie leads the way by shoveling dirt behind him and into Stan, who is armed with a small pickaxe and a candle. The candle sets Stan's pants alight when he places it behind him. Unbeknownst to him, Ollie remarks that he can smell ham cooking. After Stan finally realises his rear is on fire things go from bad to worse when Ollie punctures a water pipe with the axe. 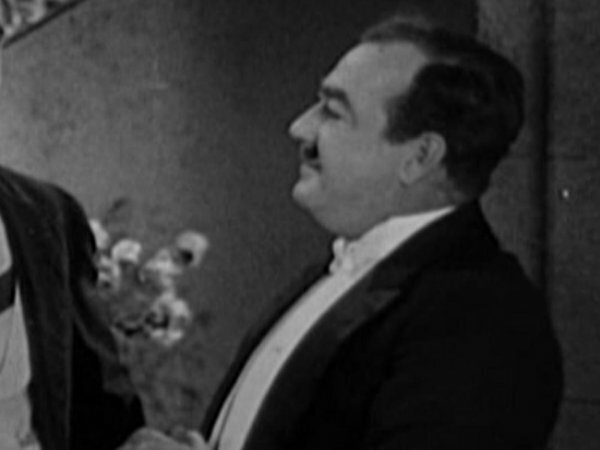 Ollie tells Stan they will need to take a detour ("the wrong way to the right place") in getting to the outside. In the warden's office the carpet begins moving in strange patterns as the boys try to dig their way up out of the tunnel. The warden gets up from his desk in anticipation of what or who is about to emerge from his floor and stands waiting as Ollie's head pops up from the hole in the carpet. The boys climb out without realising where they are at first, then it suddenly dawns on them - the tunnel was a little short! 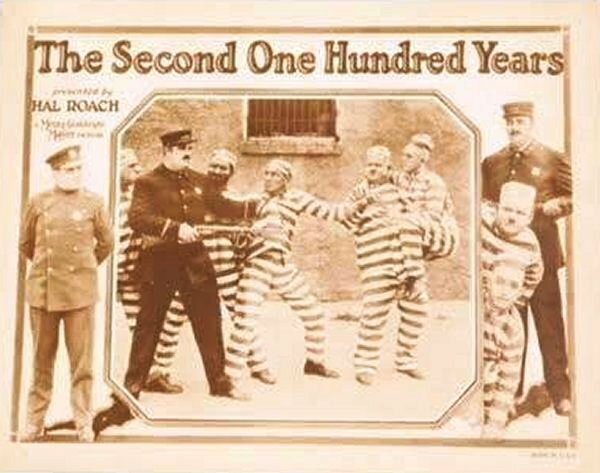 They are chased by the warden out of the office and into the cell block where other prisoners are standing on parade. Stan gets a severe manhandling for his troubles, yet Ollie gets off relatively unscathed. 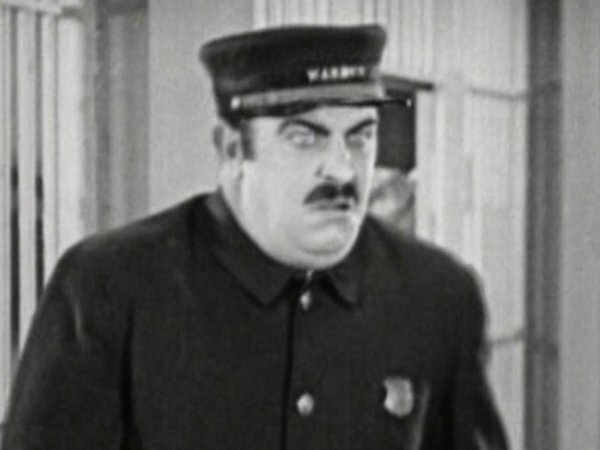 When he finally walks off, Ollie causes more trouble for poor Stan when he blows a raspberry at the warden, prompting his immediate return to dish out even more abuse to the timid prisoner. 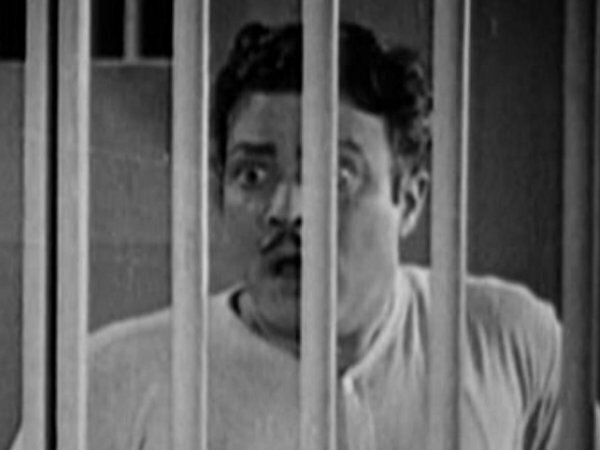 The warden then screams at guard Tiny Sandford to drill the jailbirds until they fall over. When he returns to his office he finds himself flooded from the burst water pipe that has now engulfed the room (see Did You Notice section). Out in the yard, the prisoners are forced to march. Ollie knees Stan in the back, who then pushes Ollie into guard Sandford. Stan asks the convict standing next to him how long he is in prison for? 'Forty years' replies the con. Stan produces a letter from his pocket and asks for him to mail it when he gets out. The guard begins a stretching exercise, which finds Stan totally out of sync with all the others. This almost culminates in a fight with the other prisoners, as arms are flung around aimlessly before it is broken up. 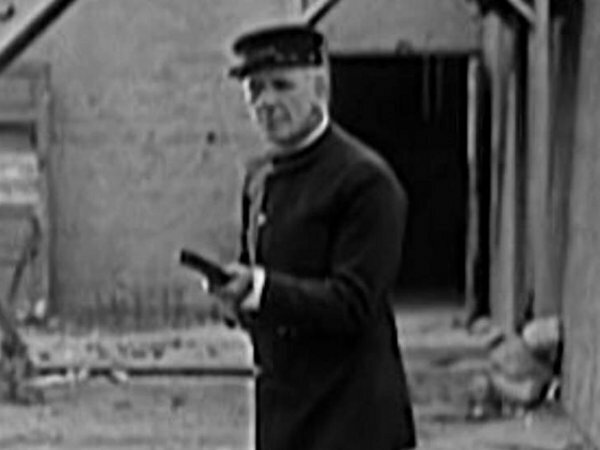 Guard Sandford gets in Stan's face for his continued dumbness and in doing so he somehow manages to 'loan' Stan his rifle as he demonstrates how to exercise properly. The inevitable happens and Stan fires off a shot before jumping up into Ollie's arms (again). The prisoners are then marched off to the supply shed to receive digging tools. No sooner do the cons begin their hard labour does the dinner bell ring. 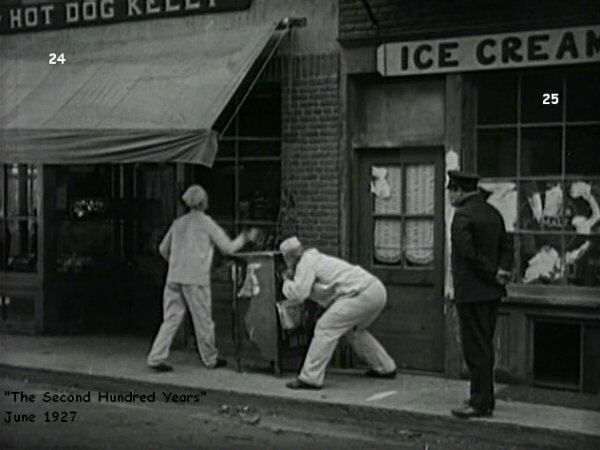 The guys are then marched around the yard but Stan and Ollie break away, walking backwards into an armed guard, who steers them back in the right direction. The boys do manage to break free and find a couple of painters who have just downed tools to go on their lunch break. 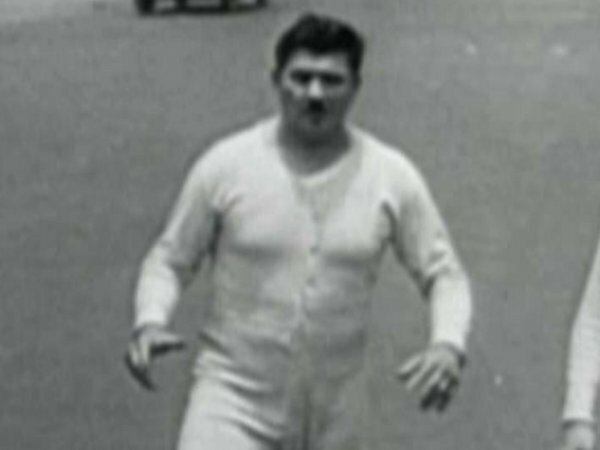 Stan suggests they turn their prison uniforms inside out and pose as the painters before both walk out through the front gate, which has been opened to allow a car into the prison. A suspicious cop notes their strange behaviour when the boys begin painting a rock on the ground and so decides to follow them. 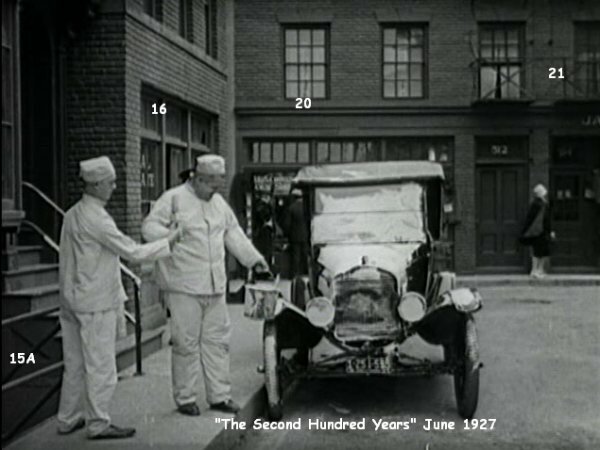 Stan and Ollie continue to paint random objects, such as a stair-rail and a parked car as the cop looks on. 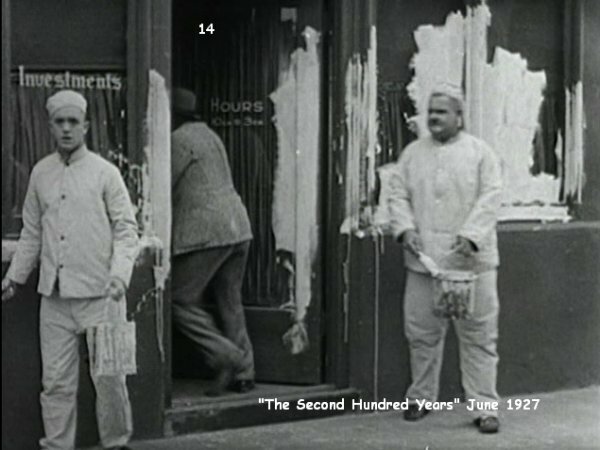 The painting continues further down the street when a black man comes out of the bank and ends up with Stan' brush in his face. 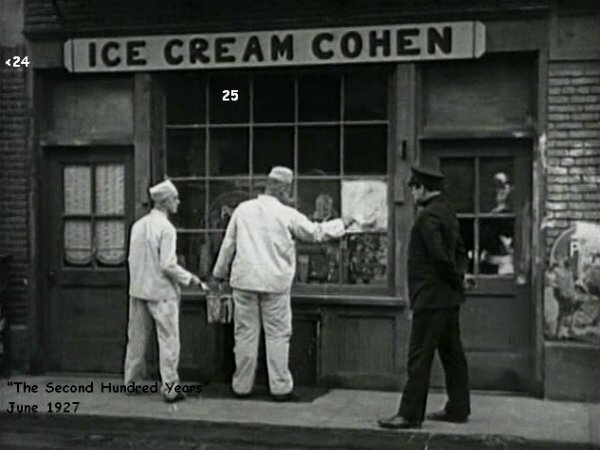 Next up is the ice cream parlour, Ice Cream Cohen, followed by Hot Dog Kelly's, who both get their windows painted in white. 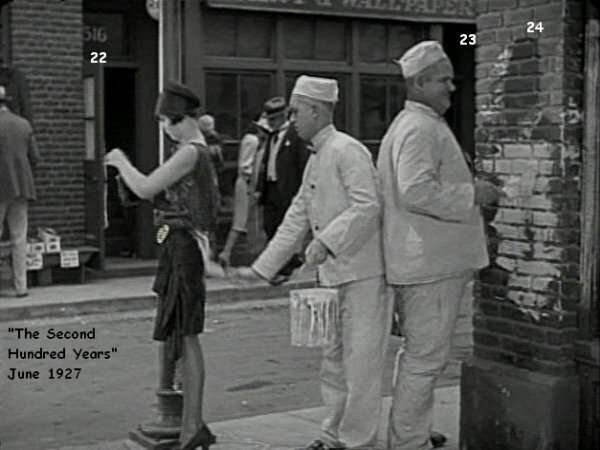 Distracted by the pursuing cop, Stan aims his paintbrush at the lamp-post on the corner of the street not realising that a woman (Dorothy Coburn) has stopped there. Her skirt is given a good pasting by Stan's brush; the cop gives chase. 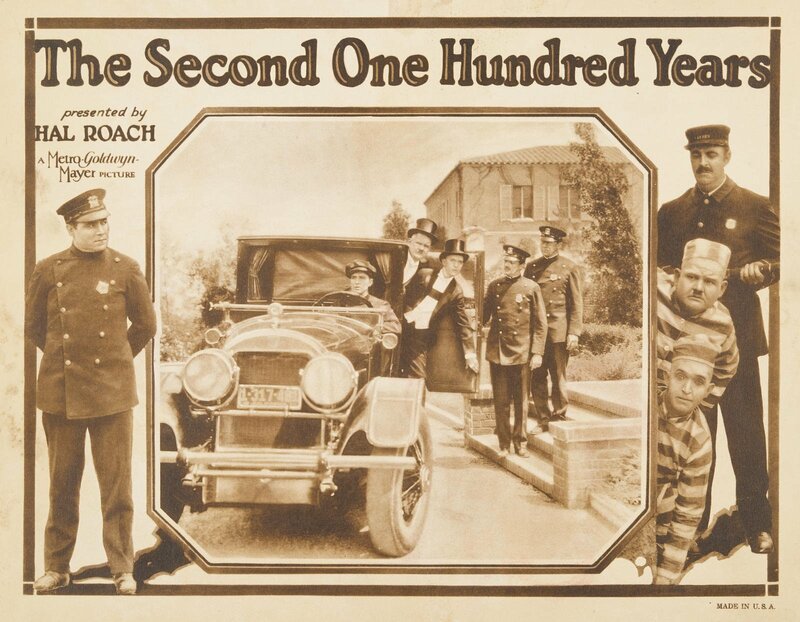 The boys manage to elude the cop and jump into the back of a limousine, which has just picked up two V.I.P. 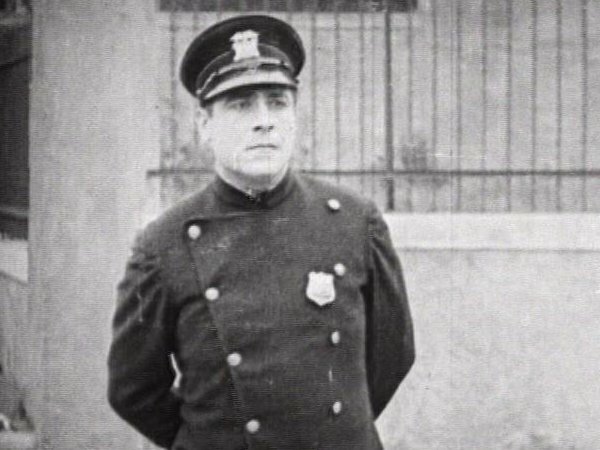 French officials (Otto Fries and Bob O'Connor) who are on their way to the prison. 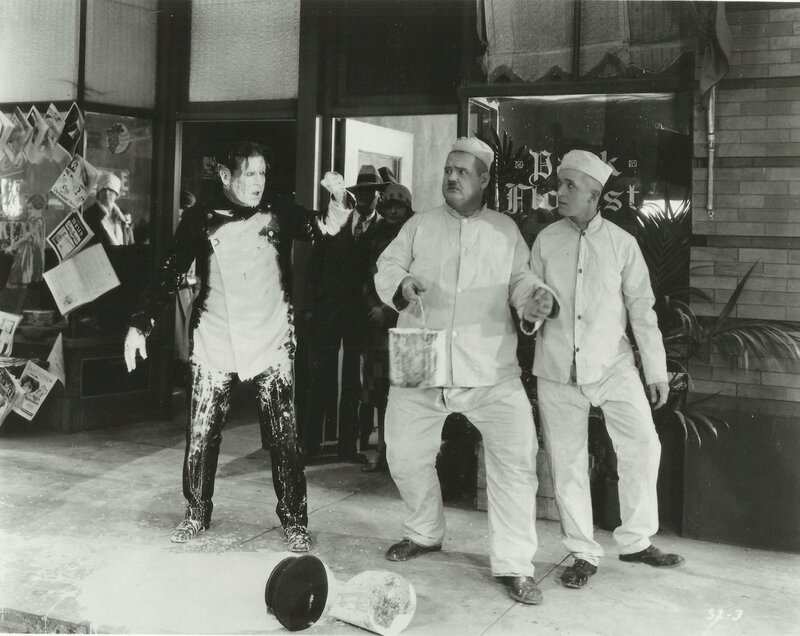 Stan and Ollie eject them and steal their clothes. 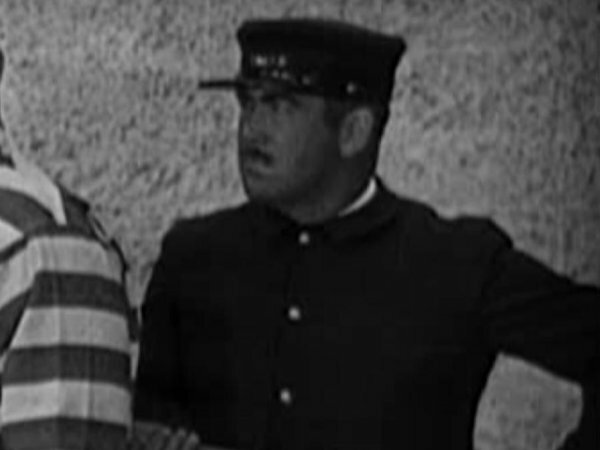 When they arrive back at the prison, Stan and Ollie do a double-take as soon as they see the uniformed guards who are welcoming them out of the car. They are mistaken for the two officials and led into the warden's house to be welcomed by the high-society guests who are eagerly awaiting their arrival. French formalities include a kiss on each cheek, one that the warden (Fin) gives a facial disapproval of when Hardy plants one on him! The sound of the dinner gong snaps the boys back into their familiar routine of prison marching momentarily before Ollie plays it down as an old French custom. The guests retire to the dining room and are seated. Stan has trouble trying to eat a cherry on top of his fruit salad (a gag that was later milked by Anita Garvin in From Soup To Nuts). When it slips off his plate, he chases it as it rolls around the table top and onto another guests' plate. He does manage to pick it up before dropping down an elderly woman's dress. He reclaims it and proudly holds the cherry aloft to the group to boast of his victory; then drops it again and flicks it into Finlayson's eye! 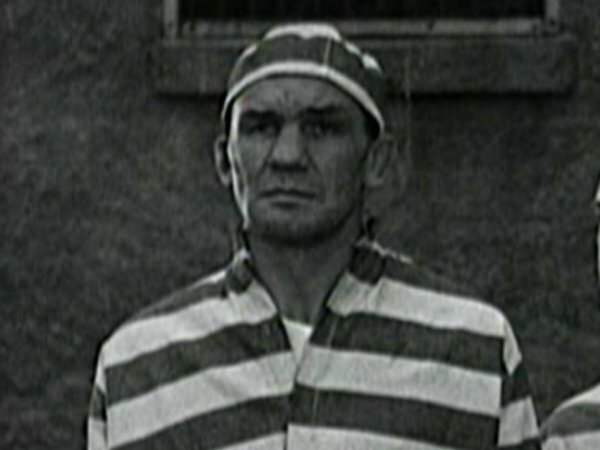 After dinner the guests are invited to a guided tour of the prison, where Stan and Ollie are recognised by the two men whom they robbed of their clothes, as well as by the other inmates. They give up their disguises and come quietly. 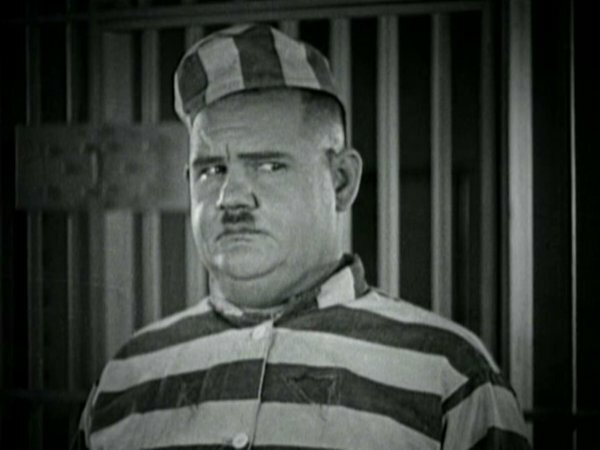 Right at the end when Stan and Ollie realise the prisoners on the cell block have recognised them Stan quickly nicks Ollie's hat, which briefly exposes his skin-head haircut. 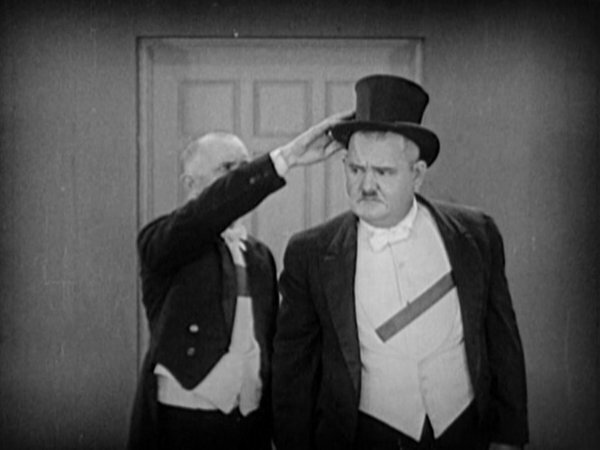 Ollie quickly grabs the hat back from Stan and replaces it back on his own head. I just love Ollie's facial reaction to Stan's cheek! A moment of comic genius, which is very brief but effective from the duo who were just starting to develop their characteristics here. 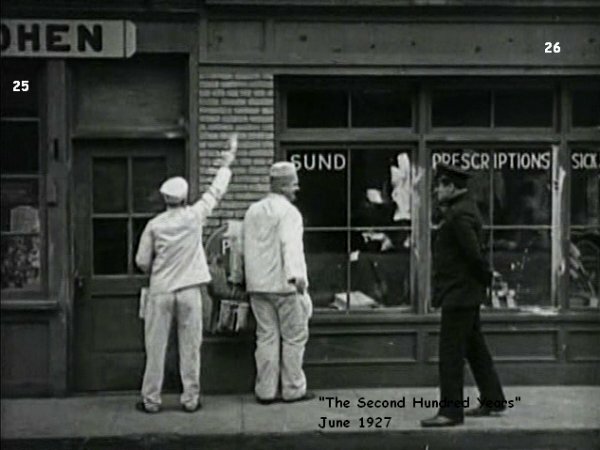 • Production S-2 - All Star series with Laurel & Hardy. 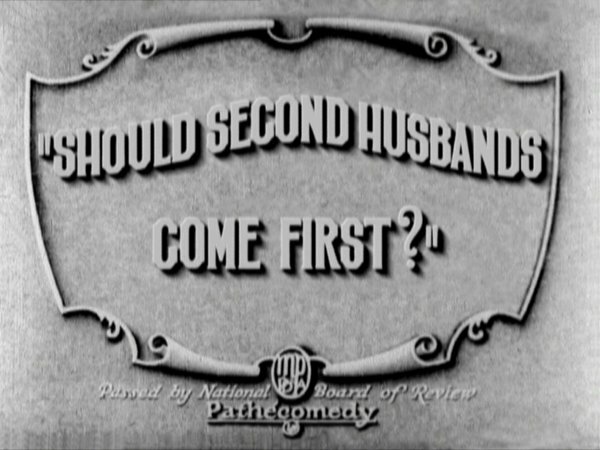 • Copyrighted September 21, 1927. • There are missing scenes not in any copy on DVD. Robin Cook wrote to me to say, "I am hoping to restore this film in the future so it will look like it did when it was first released. 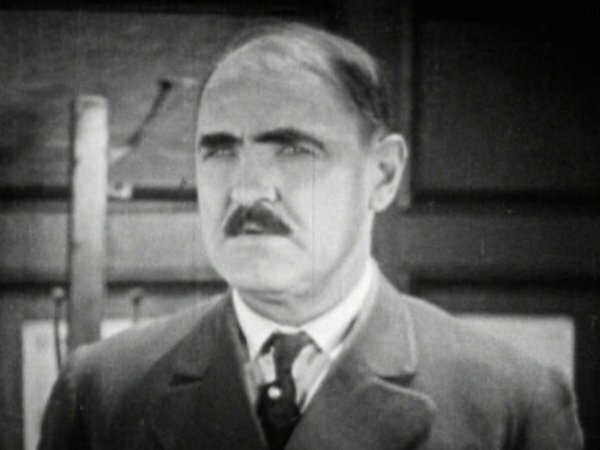 There are about four or five short scenes missing as well as original subtitle cards. The first two scenes should show Tiny Sandford in the cell-block walking towards the camera, and then Little Goofy and Big Goofy in their cell. 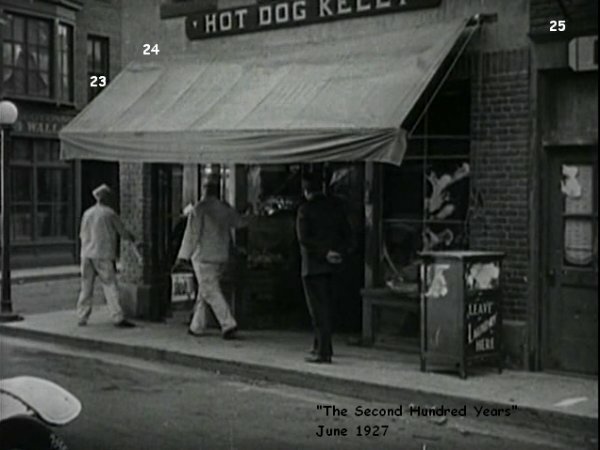 The next missing scene has Big Goofy lifting his head out of his arms just before the subtitle which reads: "Big Goofy" Convicted on purely circumstantial evidence -- They caught him with both hands in the cash register. 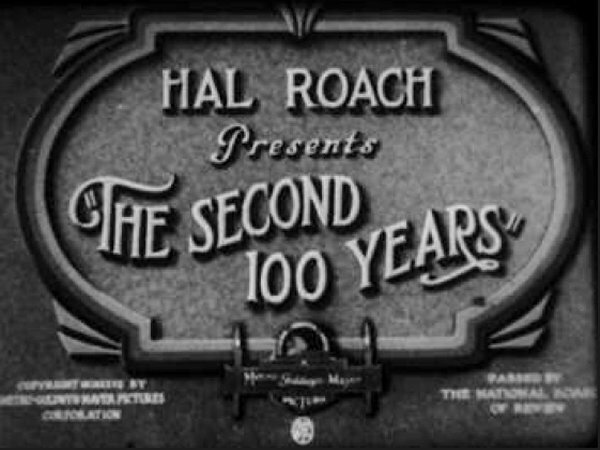 This is one subtitle card, and not in two parts as shown in the Lost Films series. 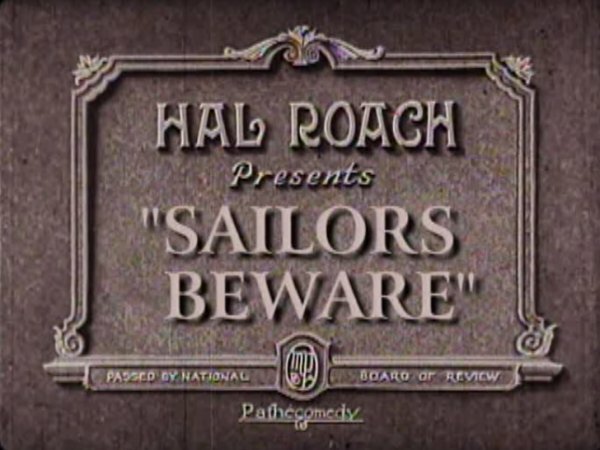 Also, the Will Rogers subtitle at the beginning should also be shown as one. 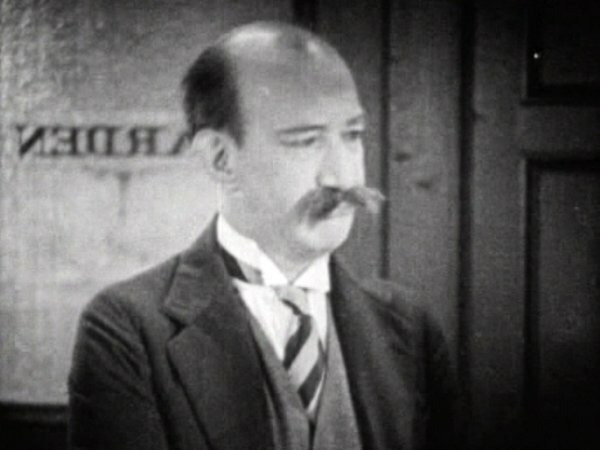 The next missing scene shows the warden at the door of his office. This is the door that they exit up the steps earlier in the film. The Warden is shouting at his door towards the cell-block, turns around to see the flood, and falls into it! This explains (in a way) why the water is about three feet deep. I must say the water has risen quite quickly in a short space of time! 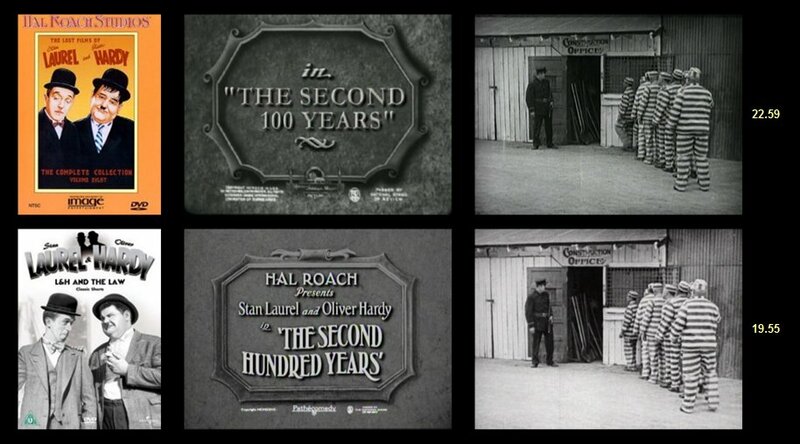 The next missing scene starts with a subtitle cards that reads: Four hours passed --- One after the other. We then see the "Goofy's" still being chased by the cop. "Little Goofy" drops his can of paint onto the floor, and "Big Goofy" throws his can of paint into the street. The cop falls into "Little Goofy's" paint, and gets it all down his front. We don't see the cop getting angry with the "Goofy's" -- like we see in the publicity still shown on your website. 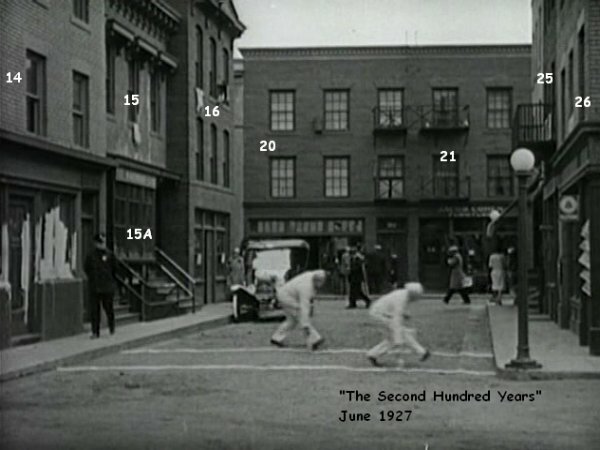 The cutting continuity for this film tells us where the tinted scenes were. 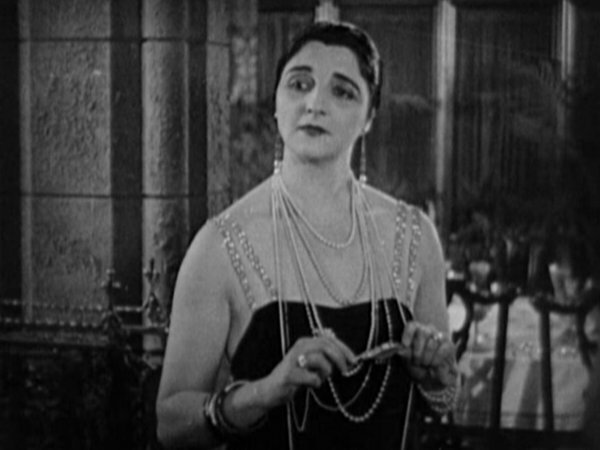 The first tinted scenes start with a blue tint just after the "Four hours passed" subtitle. The scenes stay blue until we see the interior of the house where the Governor is speaking. 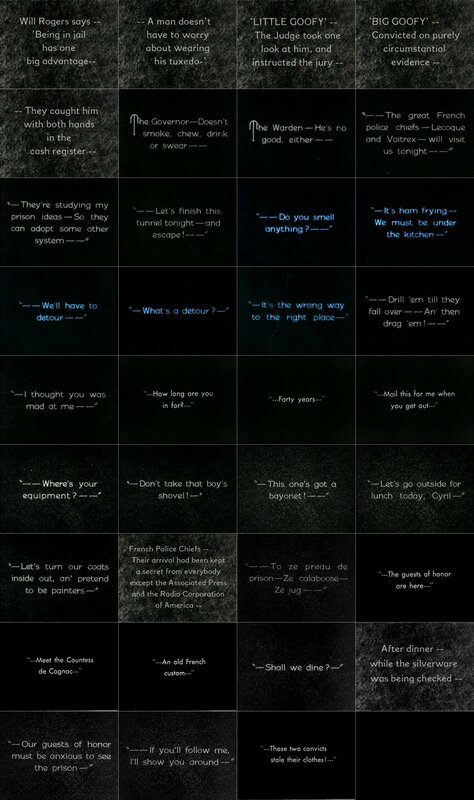 All of the scenes are amber until the end of the film. 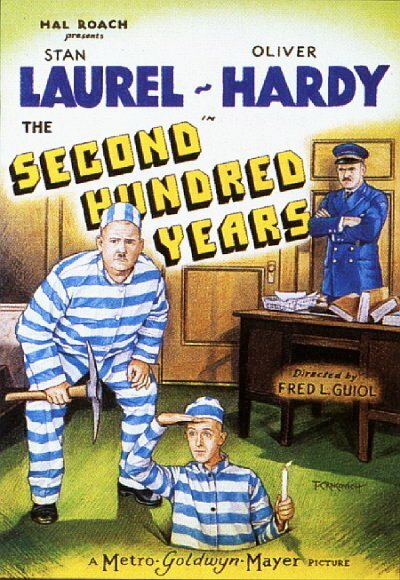 • The print of the film available on the 'Lost Films' collection includes an establishing shot of Tiny Sandford patrolling the cell block, whereas the Kirch DVD print begins with Stan in his jail cell. 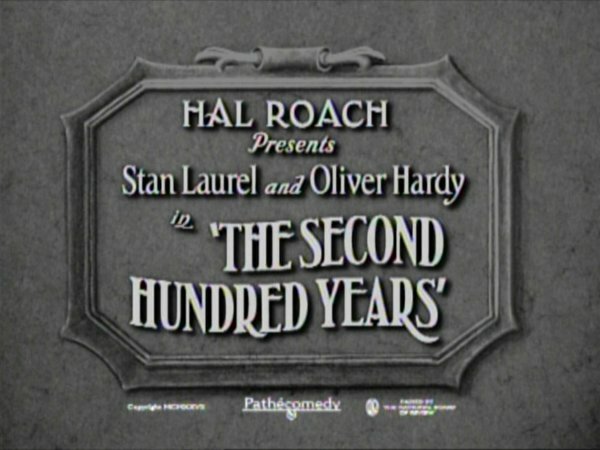 Also, the UK DVD print shows the Pathé Exchange on the title card. 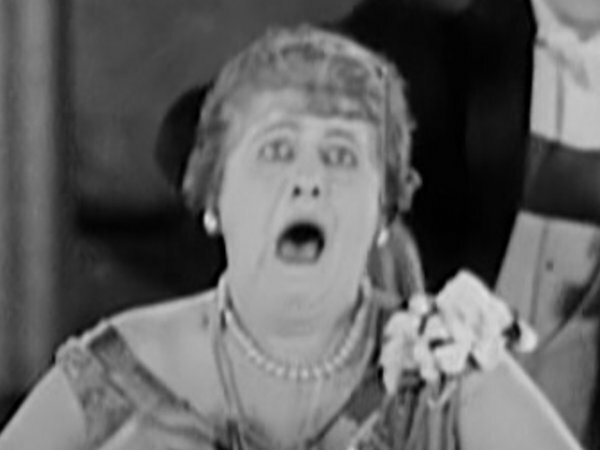 This is wrong, as the film was released by Metro-Goldwyn-Mayer. 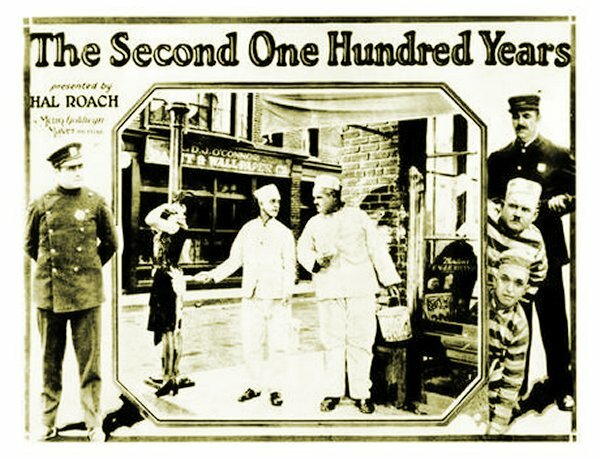 • Some sources give a title of "The Second 100 Years", though it is not clear which spelling is correct. • The prison in the film is the very same one as seen in The Hoose-Gow. • When Stan gets down onto the floor to prize open the trapdoor in their cell there is a cutaway shot to Tiny Sandford in the cell block. This shot is the exact same shot that opens the film. • Ollie is the first to get into the tunnel via the trapdoor in the cell. He is also the first one out when the boys exit into the warden's office. 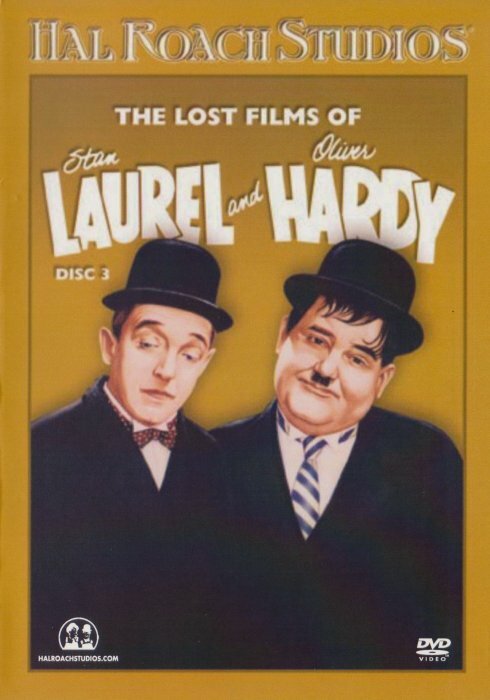 • The scenes featuring the boys in the tunnel are tinted blue (on the Lost Films DVD print). This sequence last 84 seconds. 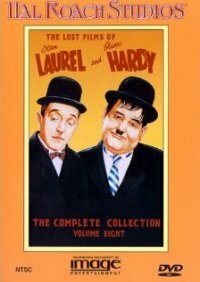 • The three objects that Stan and Ollie use in the tunnel are a small shovel, a pickaxe and a candle. • The cramped conditions experienced by the boys in the tunnel is echoed later in their talkie Berth Marks. • After the warden has ordered guard Sandford to drill the men, the next scene has him back in his office, four feet high in water. Doesn't make sense. If he had entered the room and the water had managed to rise that high then surely it would have drained out as soon as he had opened the door to access the room? And what about the hole in the floor? 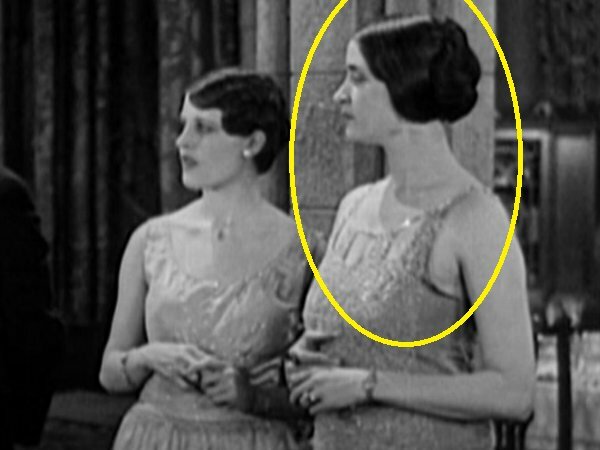 Would the water not have flooded elsewhere via the tunnel and up into Stan and Ollie's cell from where they came? 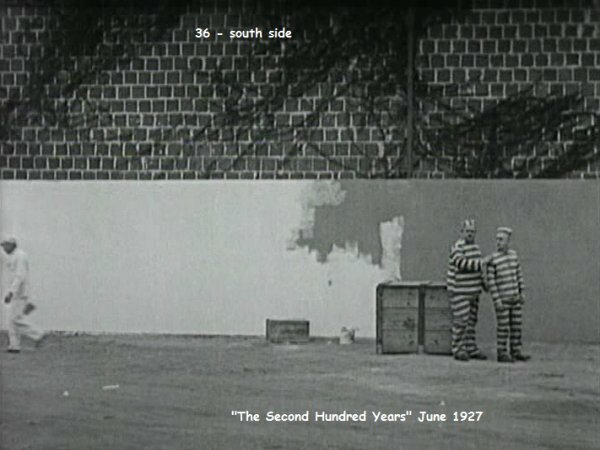 • Ten prisoners take part in the drill exercise in the yard.The license plate of the car Ollie first paints is 1-25 1-595. The car is parked outside a real estate building. • The opening times of the bank are 10am-3pm.